Our intention in attending Sunday's Melbourne Specialist Cheese Show was to seek out new cheese-makers and/or cheese and this next offering certainly qualifies. 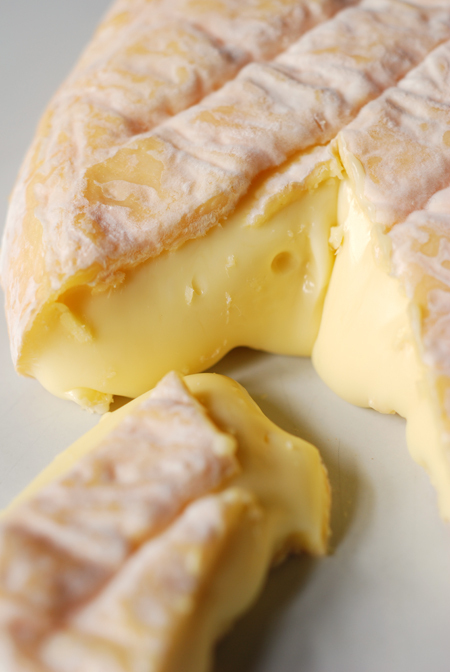 Maleny Cheese is a family concern which sees a merging of Swiss cheese makers with third generation dairy farmers. Located in Maleny, Queensland they opened in 2004. 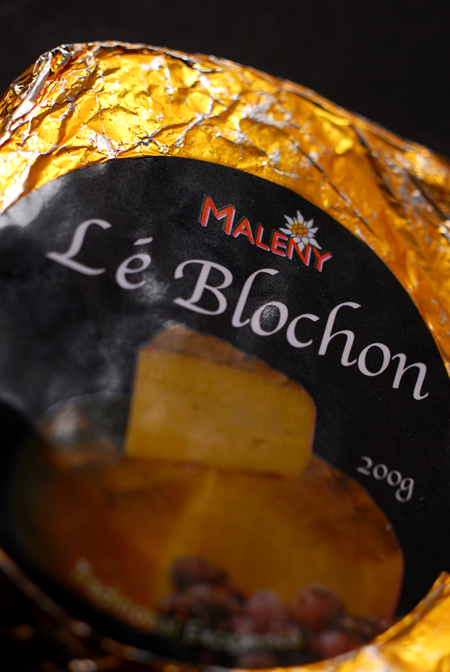 The cheese featured in this post, is a highly aromatic washed rind called Le Blochon. Once unwrapped you can enjoy its wrinkled tan skin. Much like the Reblouchon on which it is based, it is made using the milk from the second milking. 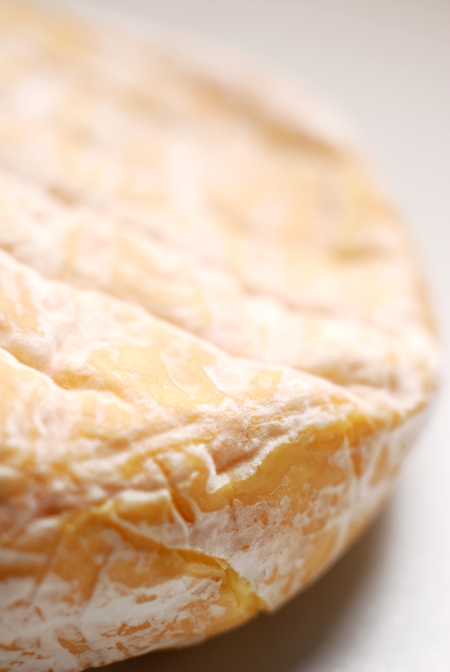 The skin is well defined and certainly edible - there's no bitterness or overpowering ammonia scent that can be found in other cheese. 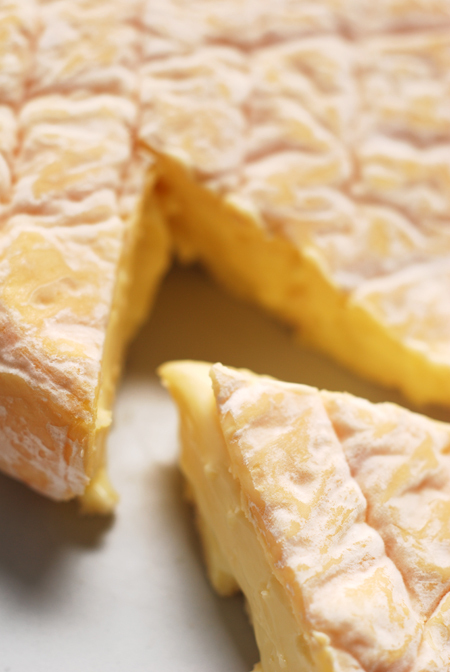 Taste wise, it's a sweet and somewhat nutty flavoured cheese, combined with a wonderful creamy mouth feel. 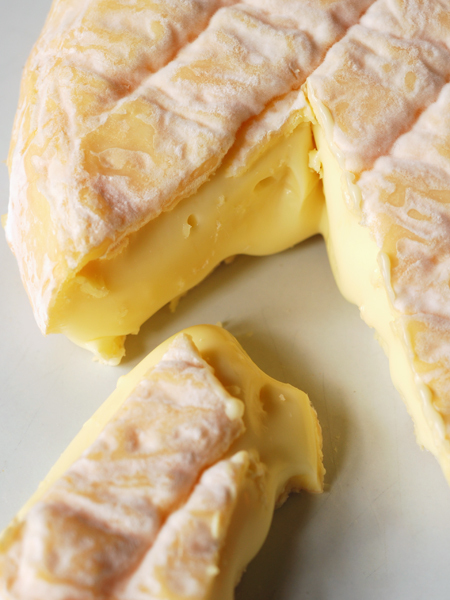 For washed rind novices, I urge you to look past its aroma - you will be more than rewarded by this excellent cheese.